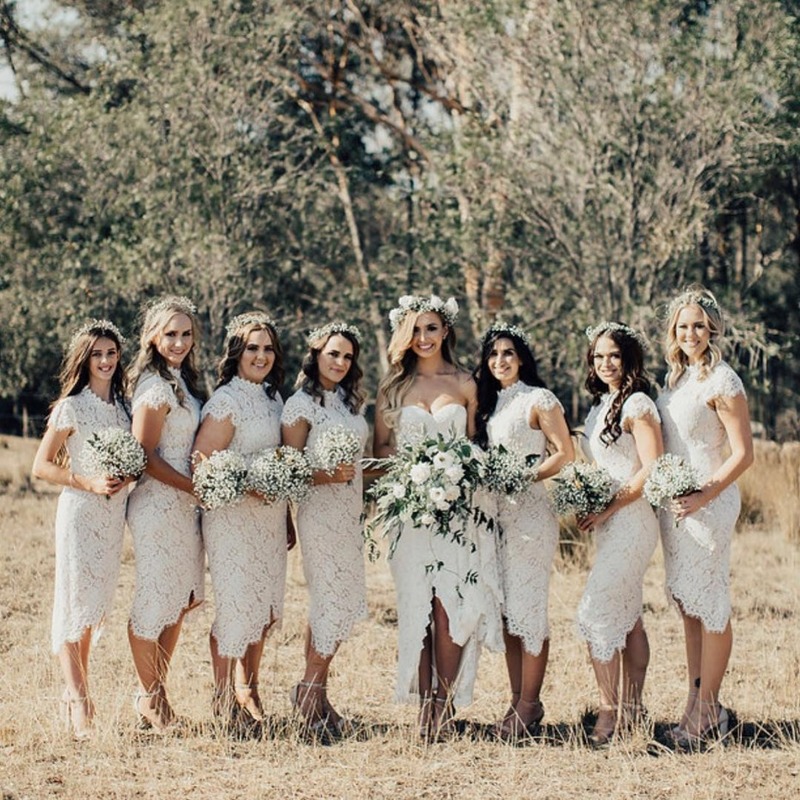 First off how amazing does Jessica Janee's girls look in their White Runway bridesmaid dresses? Photographed by Tilly Clifford. 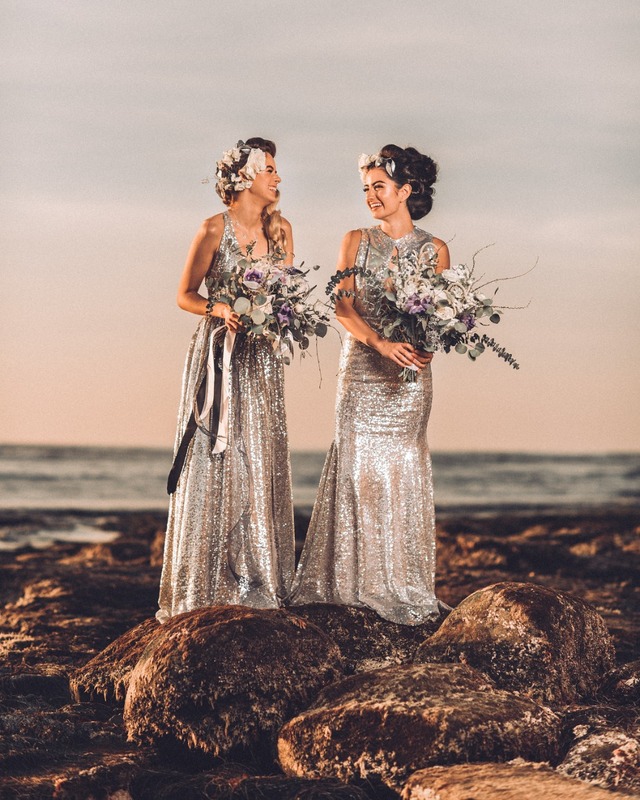 Wondering what the exact style of this lace cap sleeved bridesmaid dress is? We've got you covered here! As you can imagine these seven bridesmaids have had a great year prepping and planning for Jessica Janee's wedding. From the engagement party to the bachelorette/hen party they've been having some serious fun. Now ... how much has all that fun cost? We're not sure on the exact cost of Jessica's bridesmaid, but we do have guestimate cost for all you bridesmaids out there to be. 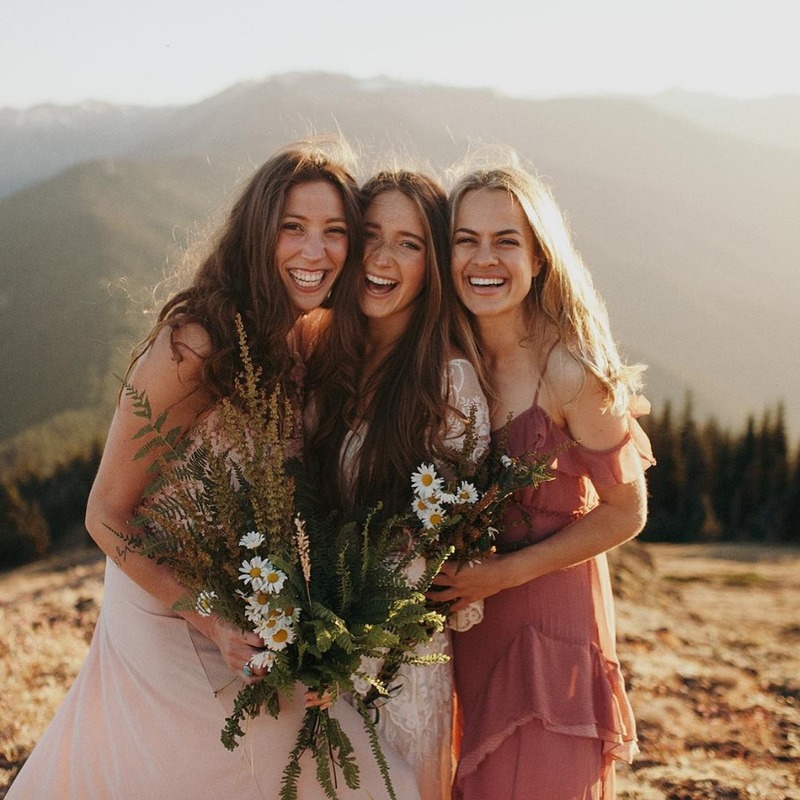 The cost will vary per your location around the world, and the activities that the couple decides upon, but overall we have a rough estimate of the REAL COST of being a bridesmaid in 2018! She's asked you to stand by her side, and the first event is their engagement party and since you are in the wedding party you're automatically a guest of honor. If you don't live within driving distance, you're going to have to factor in an airline ticket, a place to stay and spending money for the weekend. Plus you'll need to show up with a gift to congratulate them. If you're within driving distance then you can cut the cost of airfare out and the weekend fun money from your bridesmaid expense sheet. You can also cut costs by wearing a dress you already have, doing your own nails. But let's be honest, you are so getting a new dress and getting your hair did. 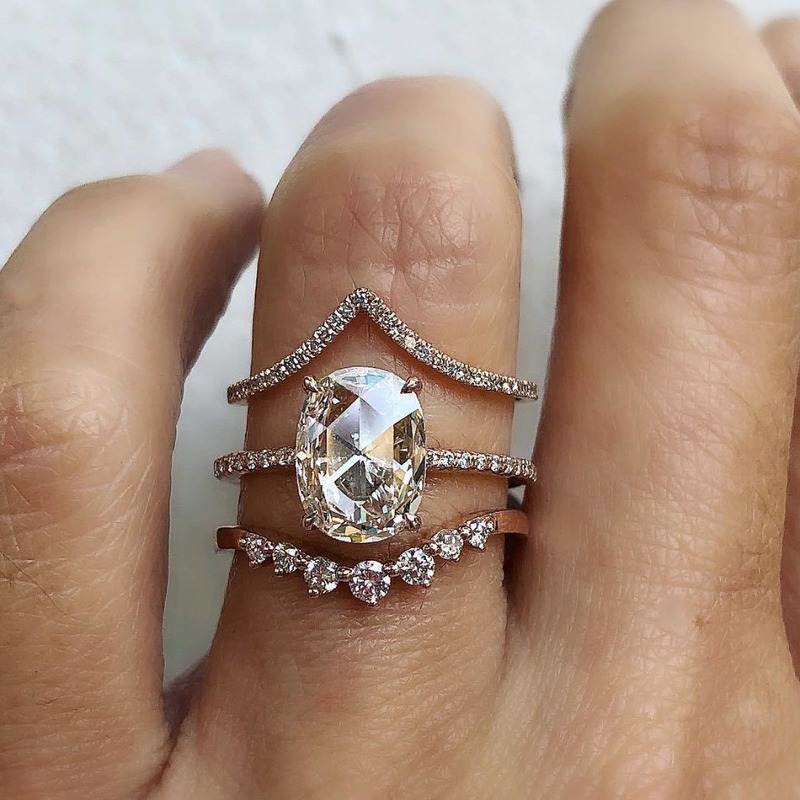 Can you skip the engagement party? It's more than acceptable if you live out of town to skip the engagement party. The couple, especially the bride will understand that you won't be able to attend. Sending them a congratulations on your engagement card is a lovely gesture. 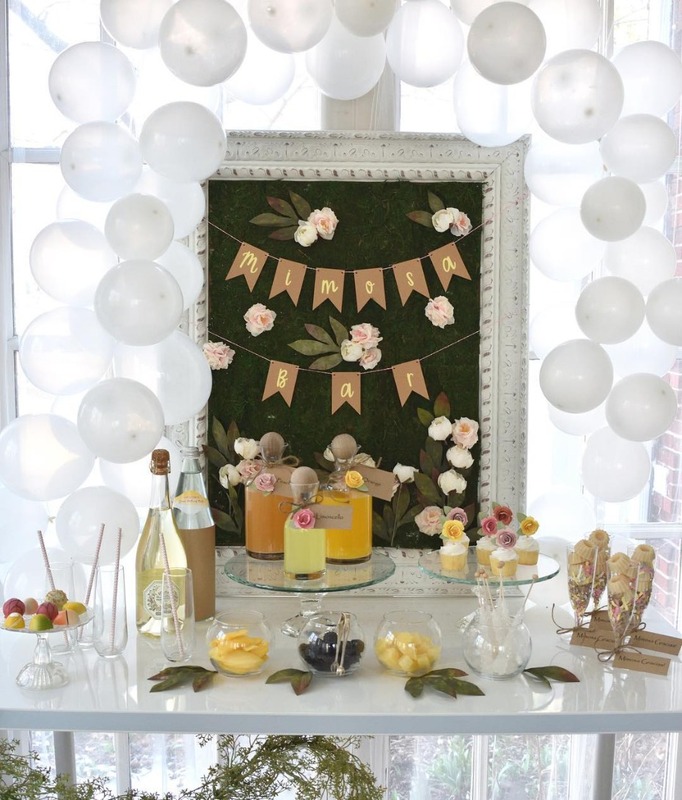 If you're in the wedding party, then it's customary to attend the bridal shower. You should also offer to chip in for the bridal shower and bring the bride-to-be a gift. At the bare minimum, you're going to have to attend, look nice and buy a gift. Right now Bachelorette getaways are all the rage. You and your squad trot off to a week in Tulum. You wear matching suits, sip margs and get your pre-wedding glow on. It's is going to be magical, but we're going to have to add it to your cost sheet. Dang! Why can't everything be free? Alexis Frost and her squad recently headed to Quintana Roo, Mexico. Mexico is fantastic because you can opt to split a room and a lot of the resorts are all-inclusive. So, in actuality, there is little out of pocket cost once you get there. Unless you visit different resorts and bar hop around. 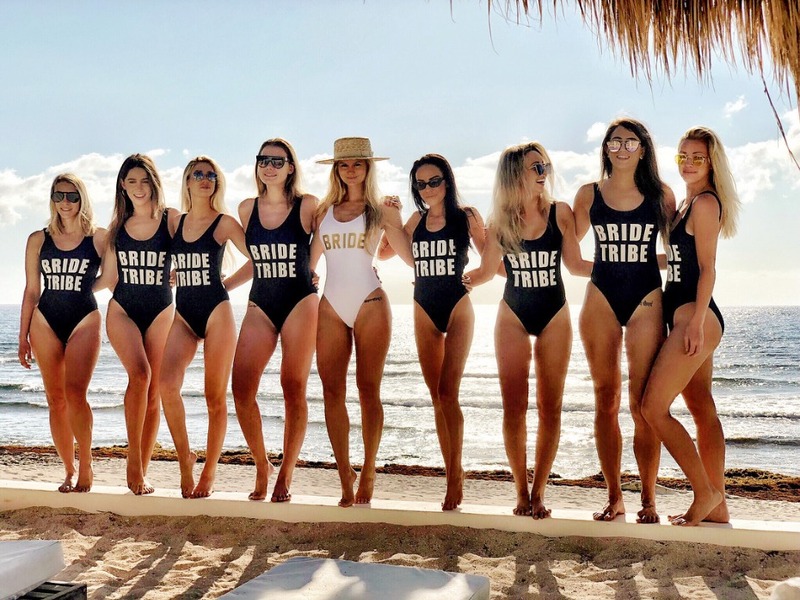 If you know right away that the bride-to-be is going to want a Bachelorette Getaway, take the initiative and volunteer to start planning it immediately. This way you will know the cost going in and can book in advance. You'll save on airfare and resort fees if you book in advance. Besides sending a gift to the bride and groom there a few other costs you'll have to take into consideration. The cost of travel and lodging along with incidentals for the wedding weekend. But, it's for your bestie and she will do it for you when then the time comes if she hasn't already. By now you're like I am not going to spend that, buy that or do that. We are very well aware and we know that all pre-wedding events are going to different and we've inflated all the costs. In the end, it is up to you what you choose to do and purchase. Of course, you do not have a get a new dress or get your nails done for every event and you might not need to book a plan to go to each event. However, it's those little expenses that add up and surprise you, so take note and start saving if you know it's going to be a fun year. 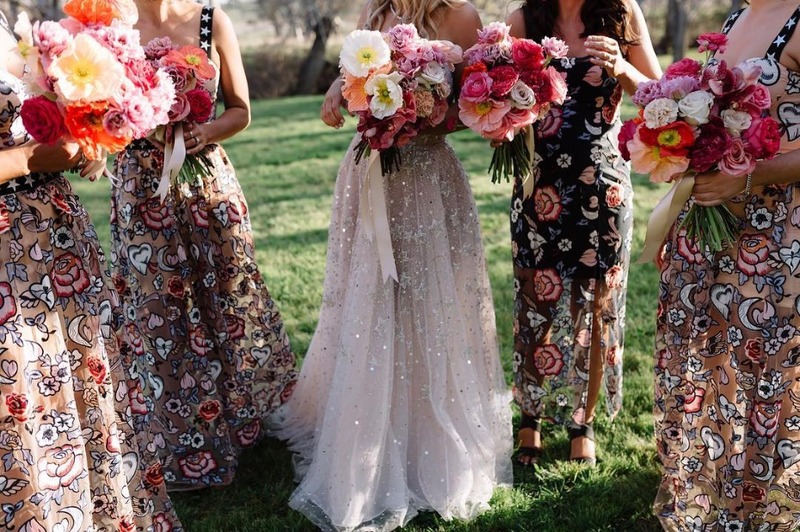 The below costs is if you plan on going all out for every event as bridesmaid.